Post sketches and a brief written article each day on the global USk blog. A reportage-style of sketching and writing is expected. Correspondents are also encouraged to share on social media (giving priority to the Urban Sketchers blog). Have the technical ability and equipment to support the above task, such as a camera and laptop or other means to upload images and text. Able to write comfortably in English. Work with the other symposium correspondents and symposium committee as a team. A total of three correspondents will be selected. The other two will be international correspondents selected from countries outside Portugal. The two international correspondents will receive five nights’ lodging and airfare. All three correspondents will receive an Open Pass, which allows access to all events, including workshops and demos, as spectators. 1. Your name, residence (city and country) and contact information. 2. Several (5 or 6) samples of your urban sketches, especially those that show people engaged in activities. Write brief descriptions of these sketches explaining the activities in the same way that you might write a blog post as a correspondent. 3. In a few paragraphs (no more than 500 words), please tell us why you are interested in becoming a symposium correspondent and why you would be the best candidate for this volunteer job. 4. Writing, in addition to sketching, is an important aspect of the correspondent role. Provide links to your personal blog, regional USk blog or other platform showing examples of your writing a text narrative in English to enhance the story of your sketches. The Editorial Team and Executive Board will evaluate applications based on how well candidates meet the stated requirements. 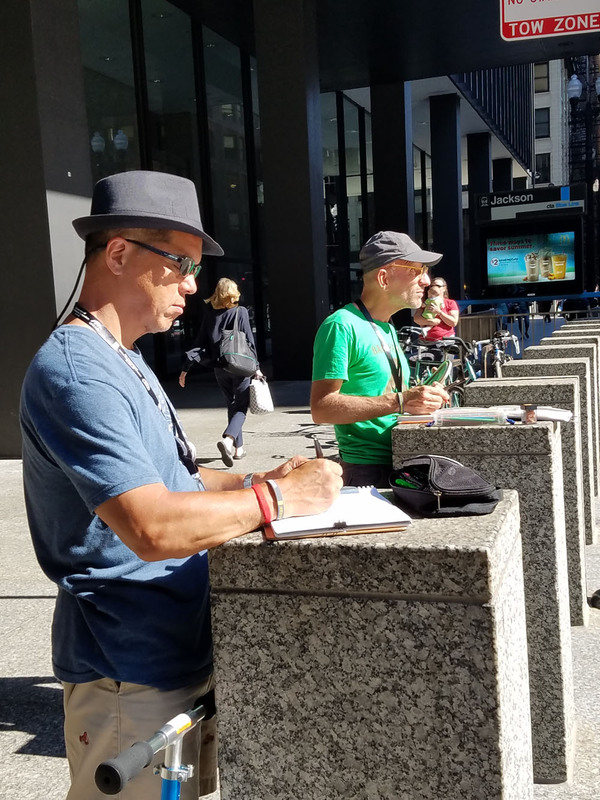 Because Urban Sketchers is a worldwide organization, global diversity of the correspondents will also be considered. Selected candidates will be announced by mid-March 2018.